As part of mission to get more people, more active, more often, it is critical that we support coaches to continue enhancing their skills and encourage those who have the skills, to advocate sport in their local area. 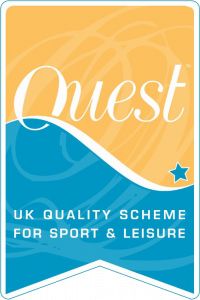 We are dedicated to offering coaches targeted opportunities to improve the quality of delivery and development more coaches or activators to improve accessibility to sport and physical activity. We work closely with local partners and coaches, National Governing Bodies of sport and sports coach UK to provide a coordinated approach to developing the county's coaching workforce. Which activity or sport are you interested in leading or assisting in? Start your journey her. Training opportunities for coaches, clubs, volunteers and the professional workforce. You may have enjoyed sport and want to put something back. Maybe you're looking for a regular volunteering opportunity or even paid work? You will develop your own skills and gain qualifications in coaching and also enhancing your communication, organisation, motivation and confidence. Coaches also act as role models encouraging others to become sport leaders. Which Sport do you want to coach? Leadership can be taught through a variety of mediums, of which sport is one. Leadership skills are focused on: communication, organisation, motivation, confidence and self-belief. Developing these skills is useful for coaching as well as future careers. Leadership courses are popular within school settings where leaders show significant improvements in behaviour, attendance and academic performance. Community courses can also reduce anti-social behaviour giving attendees recognition, a sense of self-worth and empowerment.